On our travels we have met some truly inspirational people. One of those special friends we made is Kanthan from Sri Lanka. So, what makes Kanthan so inspirational? He grew up and survived in a war. He is a Tamil and it was this ethnic group being wiped out. We clearly remember a story he told us when he was a young kid. He was out one evening, a very unique experience as you couldn’t even go to the outside toilet alone at night, or if you did it had to be with an adult. So, on this particular night he was out with his dad & uncle and the terrorists attempted to kidnap him. Luckily he slipped away and ran like a lightning bolt to safety. He was extremely lucky to escape as he had friends in his class at school who disappeared and never returned. They were likely dead or trained to be walking and killing on the streets with AK-47. Another heart wrenching story of his was the 2004 tsunami. Kanthan was working at the time on the beachside in Arugum Bay. With no notice, as with the entire country, the water receded. I am not sure how he knew to run, but he grabbed his younger sister by the hand and they sprinted. A wave caught them smashing Kanthan into a coconut tree and losing his sisters grip. She unfortunately died. Kanthan with a broken shoulder climbed up the tree and stayed up there seven hours until the water receded. He spent months in hospital due to surgery and complications. What truly inspires us is that after his shoulder healed he learnt how to swim. Most people left the coast or didn’t go into the ocean, but Kanthan did the opposite. 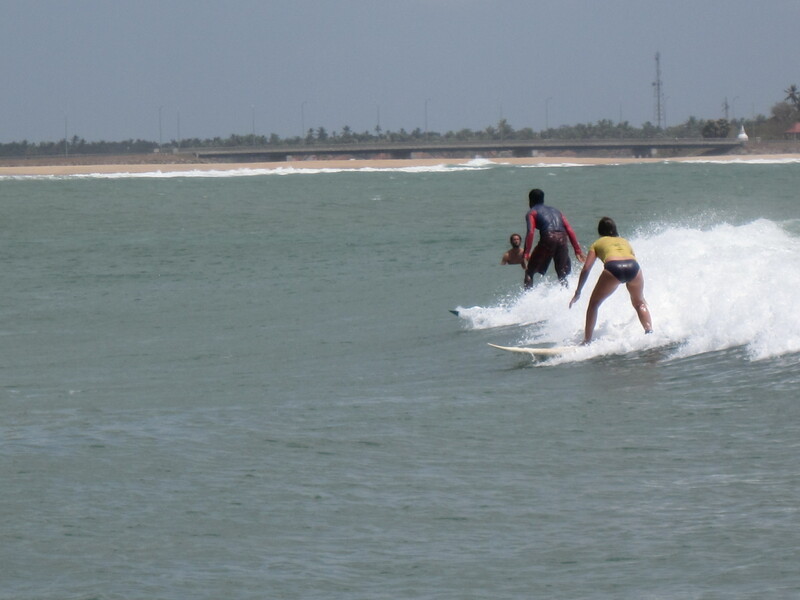 And true to his inspiring nature, after a few short months of learning how to swim he learnt how to surf! As a beginner surfer myself and someone who knows how to swim, I personally found learning how to surf terrifying some days. I can only imagine how he must have felt! 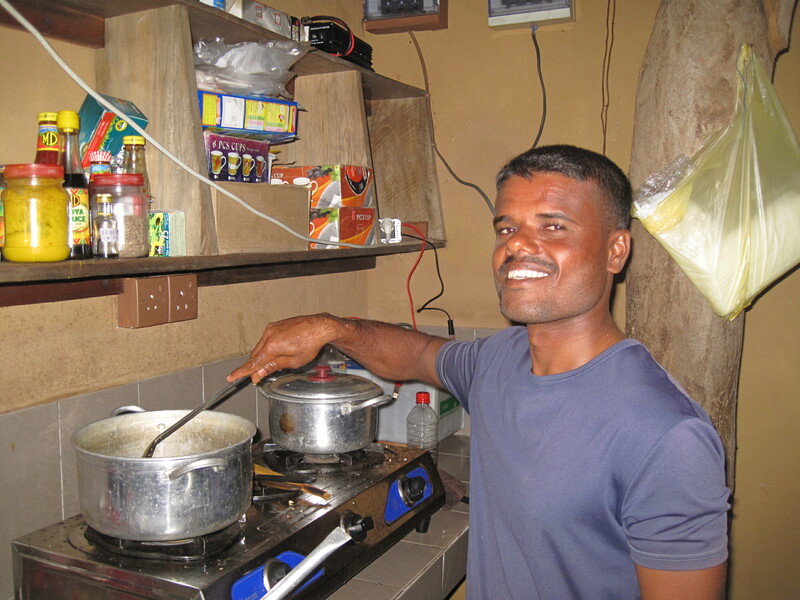 We were lucky to meet Kanthan as he was the cook, manager, cleaner and host of the rural, coastal property we stayed at last year in Sri Lanka. 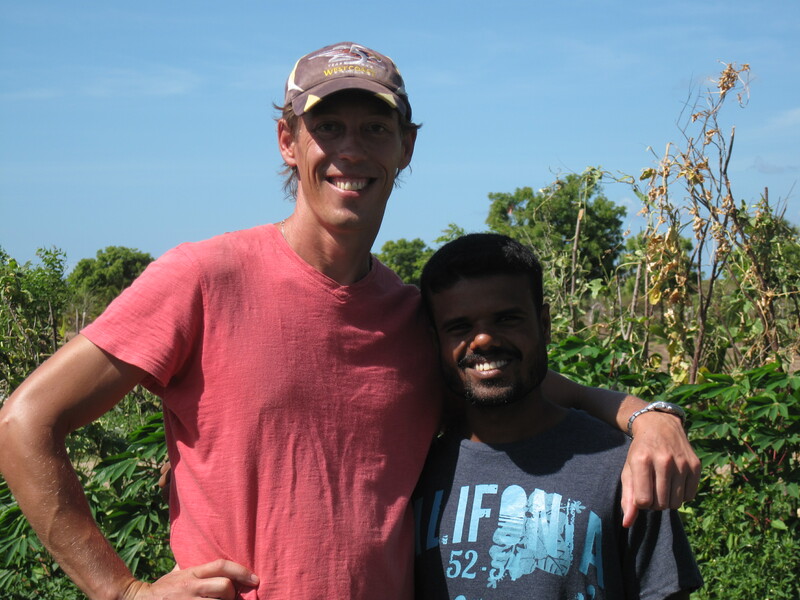 We spent 3 months with Kanthan, thoroughly enjoying his company and blessed with his friendship. We surfed together daily, and played cards most evenings. For dinner we would watch him cook our dinner, learning how to make traditional Sri Lankan curries. But the thing we loved most about Kanthan was is humble, kind nature, and he always had a smile on his face. We recently found out Kanthan has been in a head on collision with a tuk tuk, with him on a motorbike. From what I understand he has a fractured femur. Apparently he has been waiting one month for surgery! We hear he may get lucky this week. Kanthan works seasonally, and is a main financial contributor for his parents, siblings and self. This accident not only hurts him physically but his family financially. We will be sending Kanthan some money via bank transfer to help support him and his family. I am now asking if you too could find it in your hearts to help our special friend. Any amount would truly be appreciated. We will be doing an international bank transfer on 28 November 2013, so please give all donations by then. You can donate any amount by pressing the ‘Donate’ button below via a secure transfer with PayPal. You do not need to be registered with Paypal to donate to Kanthan, you can donate with your Visa, MasterCard or a bank transfer. With a big hug, we thank you for your help!!! Please note your donations are not tax deductible. Good Luck Matt & Jill with your donations. If you see something from Lynette … guess who! Love reading about your adventures. Glad to make a donation for an inspirational individual who warmly embraced both of you on your travels! All the best with your endeavours to assist Kanthan.